A prenuptial agreement, also referred to as a premarital agreement or ante-nuptial agreement, is an agreement entered into by two people who intend to get married. A prenuptial agreement is a binding contract that defines how each parties’ assets will be divided when the marriage ends. We’ve all heard the statistic that somewhere around 50% of marriages in the United States end in divorce. While that may be true, it is also worth noting that exactly 100% of marriages will come to an end eventually when one or both parties passes away. Apologies for the morbid reminder, but the point is that the distribution of your assets is going to happen no matter what. With a properly executed North Carolina prenuptial agreement, you and your partner get to decide how your assets are distributed in the unfortunate event of a divorce or death. Without one, State law governs these decisions. These laws change regularly, and they may not work in you or your family’s best interests. Contact the experienced prenuptial agreement lawyers at Kirk, Kirk, Howell, Cutler & Thomas, LLP today to discuss your legal options. Many people mistakenly think that a prenuptial agreement is only designed to help one kind of person, mainly the wealthy individual who is trying to protect themselves from the “gold digger.” This is not the case, and this myth is the reason why many couples are afraid to broach the touchy subject. It feels like one party is accusing the other of having ulterior motives. The truth is that prenuptial agreements are designed to protect both parties, and they can even work to prevent financial conflicts from causing marital strife. Any couple could potentially benefit from a prenuptial agreement, but there are certain scenarios when a prenup would be especially advisable. Business Owners: People who are self-employed or business owners of any size should seriously consider a prenup. For obvious reasons, it would be smart for successful business owners to protect the product of their blood, sweat, and tears. On the other hand, it can be equally important for the other partner to protect themselves from liability, should the business be sued, go out of business, or plunge into debt. Second Marriages. If you have children from a prior marriage, and you want to pass along specific assets to them of any kind, a prenuptial agreement is a good idea. The last thing anyone needs at an emotional time like a divorce or a death is to have family members fighting over who gets what. Couples With a Large Age or Income Gap. You may be head over heels in love and not need any written proof that your future spouse is in it for all the right reasons, but you are also probably aware of what everyone else is whispering behind your back. In a perfect world, it doesn’t matter what anyone else thinks about your marriage, but in reality you can help ease your own skepticism and everyone else’s with a prenuptial agreement. Having one uncomfortable conversation can help your spouse avoid years of distrust from friends and family. It is quite common for parents to be the ones suggesting a prenuptial agreement. Ask them why. If it is because they just don’t approve of your future spouse, then go right ahead with your righteous indignation. If it is because they are concerned about the future inheritance they plan on giving you, then they’ve got a good point. The good news is, you don’t have to sign a prenuptial agreement if you don’t want to. Your parents can still protect your inheritance by putting the assets into a trust. Should your marriage dissolve, their assets can be distributed how they please, rather than being dispersed in accordance with the current state law on equitable distribution. Can Prenups Be Challenged in NC Courts? Chapter 52B (http://www.ncga.state.nc.us/EnactedLegislation/Statutes/PDF/ByChapter/Chapter_52B.pdf) of the North Carolina General Statutes specifies that there are two basic methods to attack a prenuptial agreement in NC. How long before your wedding were you presented with the agreement? If the prenup was presented to you right before the wedding, that could be a good indication that you were pressured into it by your spouse. What was your physical and mental condition at the time of signing? Much like any other contract, you must be of sound body and mind to enter into an enforceable premarital agreement. Did your spouse hide or misrepresent anything? You cannot voluntarily enter into an agreement if details of the agreement have been falsified or left out. 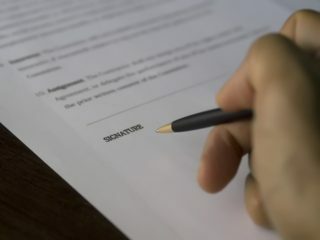 Did you consult your own Raleigh family lawyer before signing the agreement? Both parties should speak with their own separate lawyers prior to signing any prenuptial agreement. If you did not, this by itself is not necessarily grounds to invalidate an agreement, but it can play a part in the decision. The second method to attack a North Carolina premarital agreement is to prove that it is “unconscionable.” This method is much more difficult to prove, since it is more subjective by nature. What it means is that the agreement could be invalidated if it was so unfair that the courts couldn’t possibly enforce it. Can We Write Our Own Prenuptial Agreement? As with many other legal documents, there are plenty of do it yourself options out there you can download from the internet. We don’t advise preparing any kind of legal documents without the help of a professional, especially when it comes to financial planning. Your whole nest egg could be at stake! It is very important to consult with a lawyer experienced in prenuptial agreements to ensure that the agreement is written in such a way to maximize its validity. For anyone who wishes to have control over their assets in the event of a divorce or death, a prenuptial agreement is a wise decision. Although it is not a comfortable conversation for most people to have, the long term benefits can far outweigh the drawbacks. Not only can you protect your assets in the unfortunate event of a divorce, but you can potentially strengthen your marriage. Arguments about finances are one of the leading causes of divorce. Talking about these issues in an open manner can help pave the way to a happy and trusting relationship. If you are considering a prenuptial agreement, call the North Carolina family law attorneys at Kirk, Kirk, Howell, Cutler & Thomas, LLP today. We can work together with you and your tax adviser to create a customized plan to serve your needs.